Beware the publisher’s hype: it makes this lovely novel sound ridiculous. 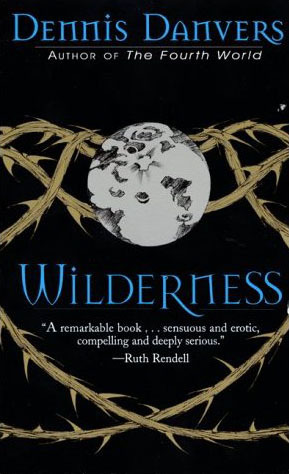 Primarily a story about the trials of love, Wilderness has as its heroine Alice White, a woman who has kept herself shut off emotionally because of a shameful secret. When she meets Erik, they fall in love and she decides to tell him who she really is–a werewolf. Of course he doesn’t believe her, and their resulting soul-searching is painful to share. Alice’s main concern was to be believed and, more important, accepted; so at Erik’s rejection she decides actively to explore her animal half. Matters are complicated by Alice’s inept psychiatrist and by Erik’s ex-wife, who decides at this crucial time that she wants him back. Eventually, Erik realizes he loves Alice. The characters are all well rounded; we even get a glimpse of the pompous psychiatrist’s empty home life. In no way a horror story, this book is as good as the publisher claims, but it is a pity that the promotion even mentions the “werewolf” theme. Highly recommended. Previewed in Prepub Alert, LJ 2/1/91. -A.M.B. Amantia, Population Crisis Committee Lib., Washington, D.C.